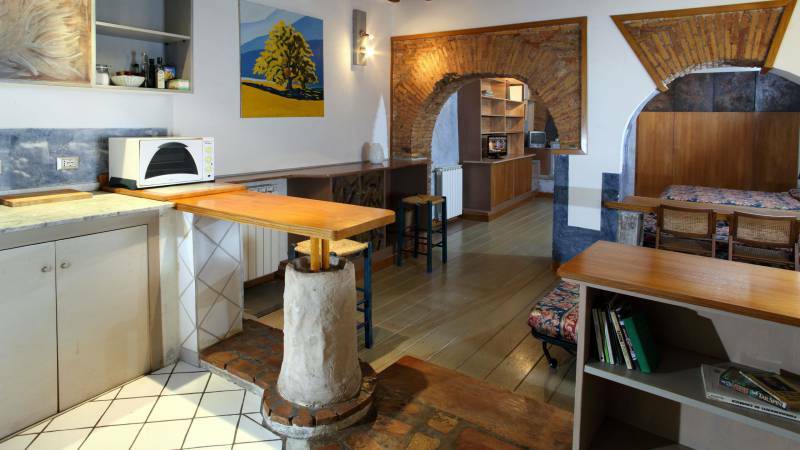 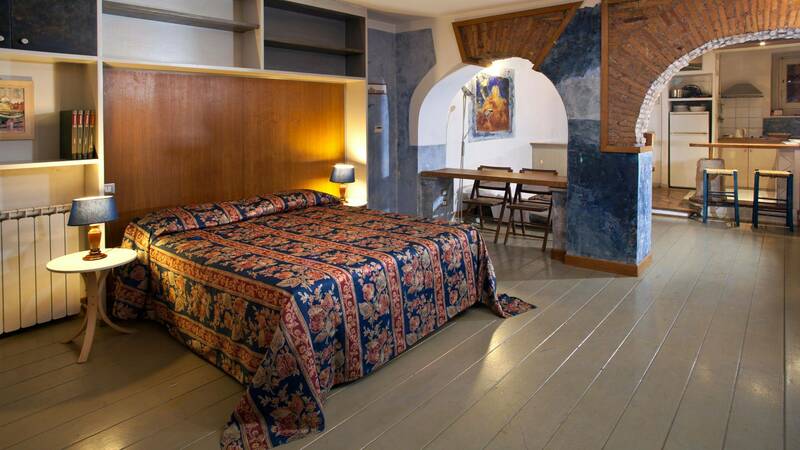 Located in a 17th century historic building that once belonged to the Nuns of Saint Apollinare, fully renovated and equipped with a lift. 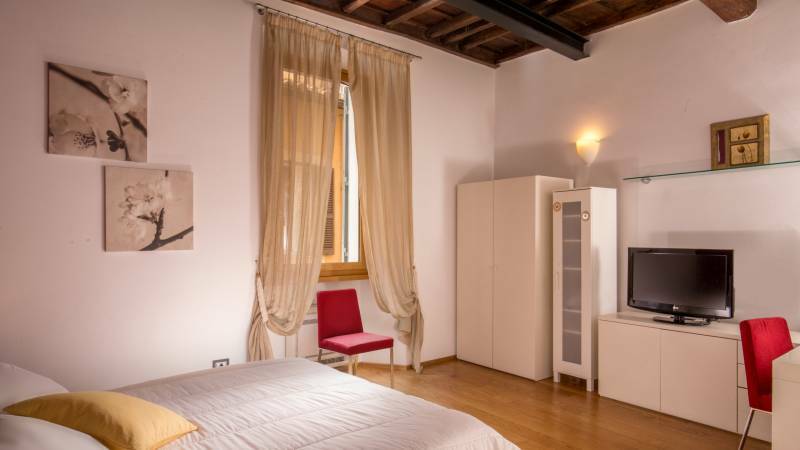 We are located and number 4 in Vicolo del Bollo, a quiet pedestrian street crossing Via del Pellegrino not far from exclusive locales, refined designer boutiques for lovers of shopping and “Eternal City’s” most famous artistic, historical and archaeological sites. 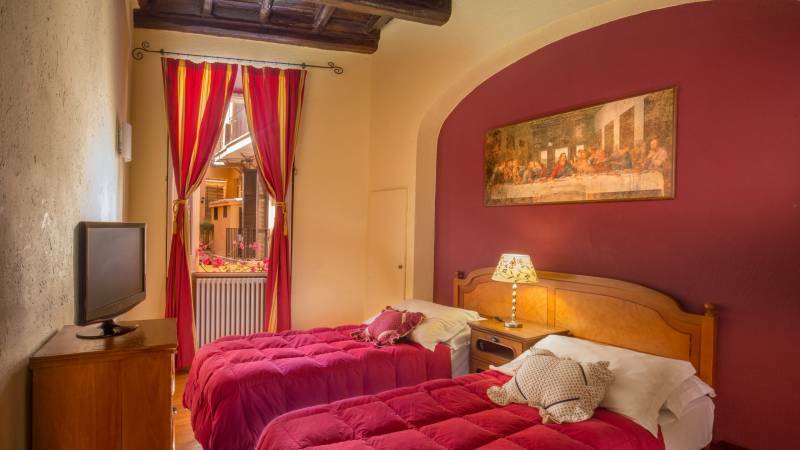 A short, charming walk will take you to Piazza Navona, the Pantheon, Piazza di Spagna and the Church of Trinità de’Monti, Piazza Farnese, the Trevi Fountain, the Church of San Luigi dei Francesi, which houses the masterworks of Caravaggio, and Piazza Campo de’Fiori; crossing Ponte Sisto will take you to the characteristic and lively Trastevere quarter. 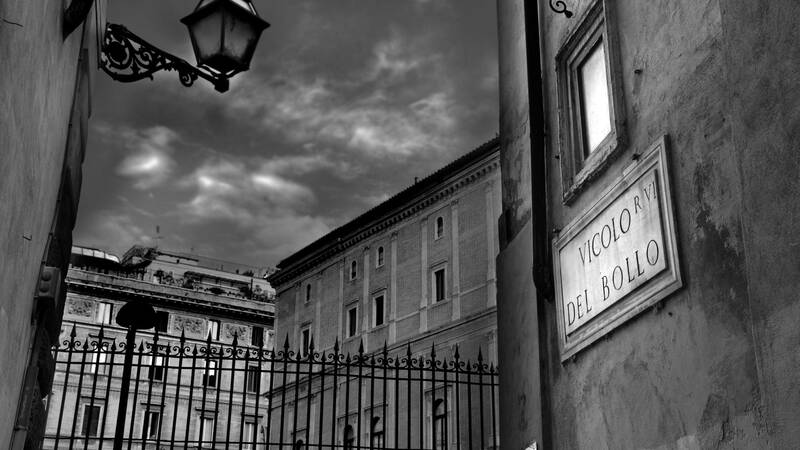 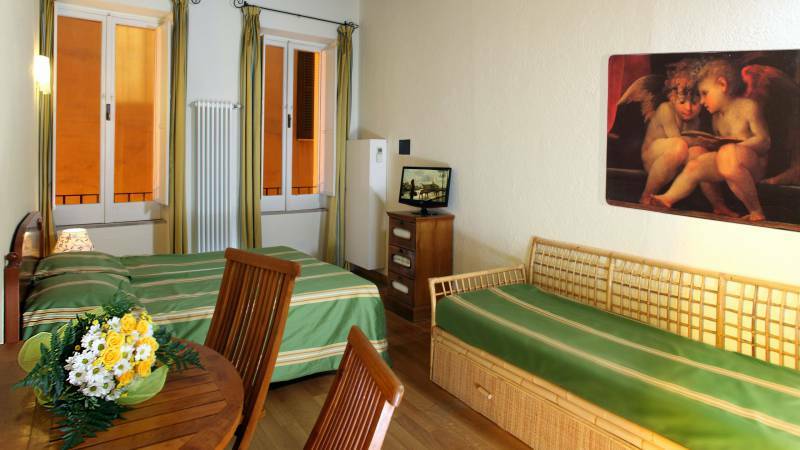 In addition, our building is located close to a Taxi stand and the stops of numerous public buses, including bus 116, a short ride in which will take you to the fascinating Gianicolo Hill with its unrivalled view of Rome. 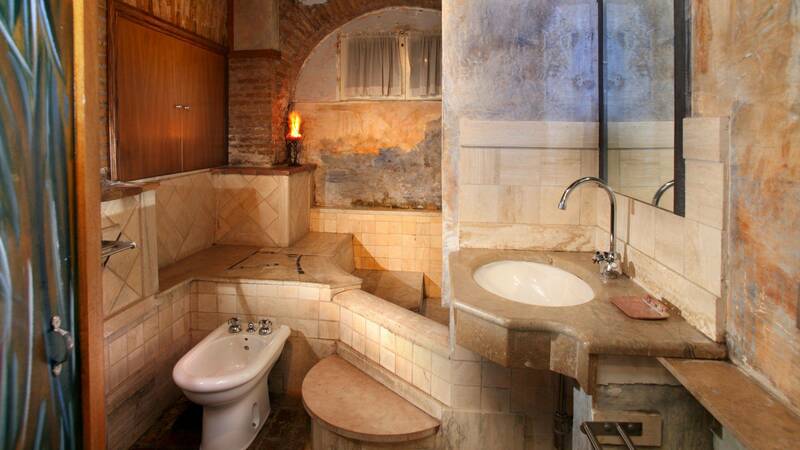 with full autonomy and privacy. 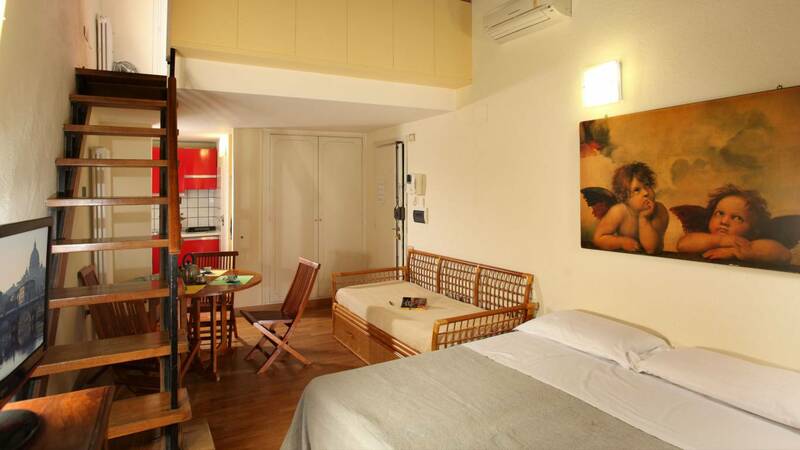 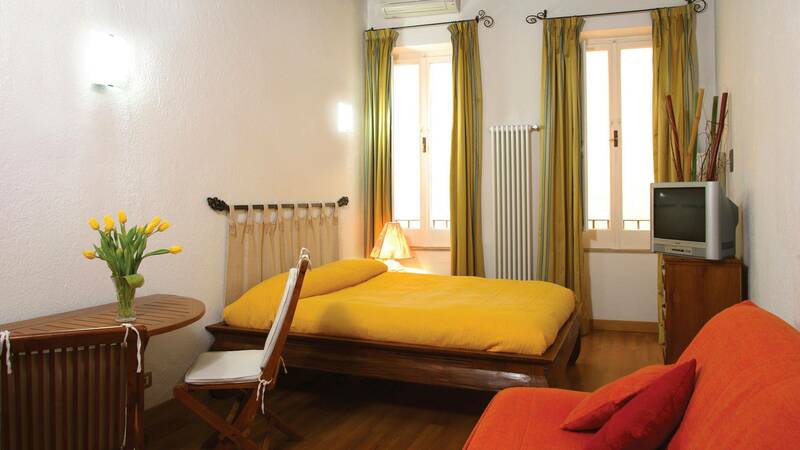 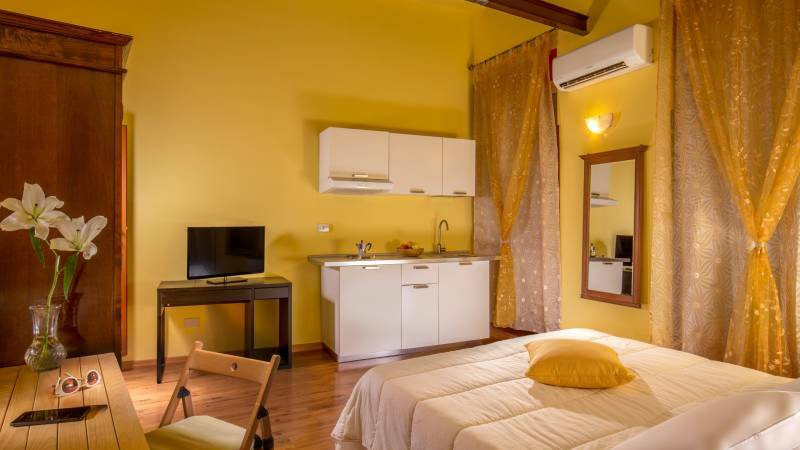 Residenza Bollo Apartments is composed of 8 units which include double rooms and studio flats for 3-5 people. 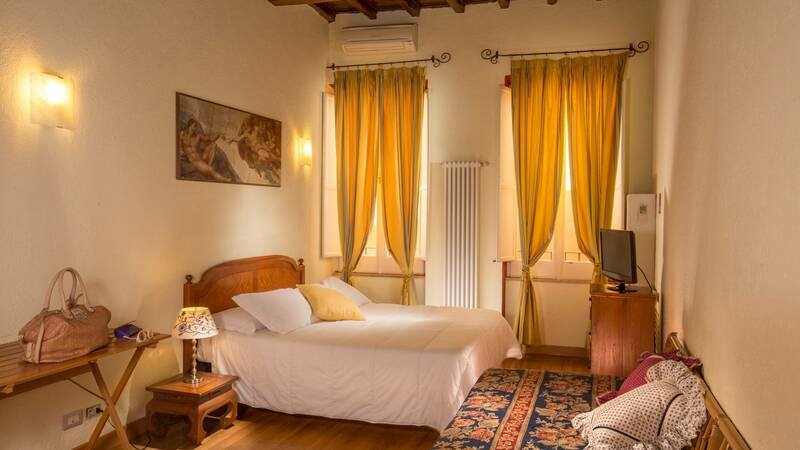 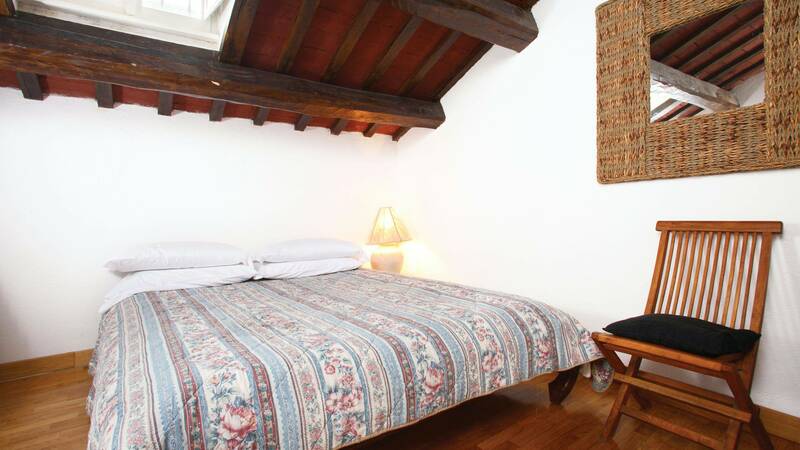 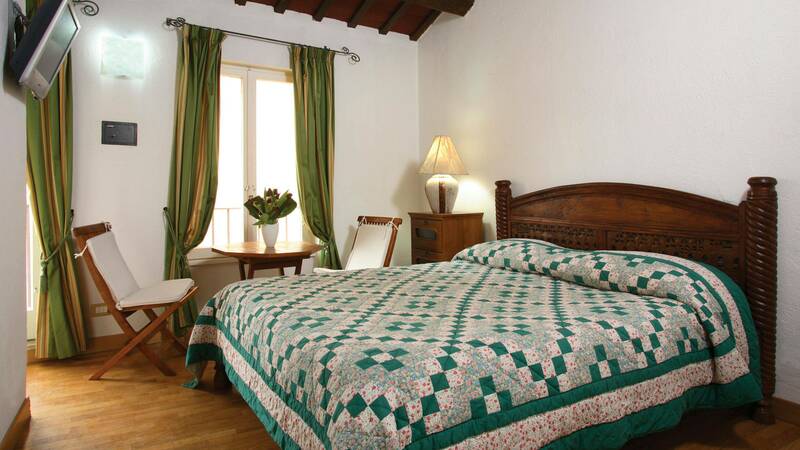 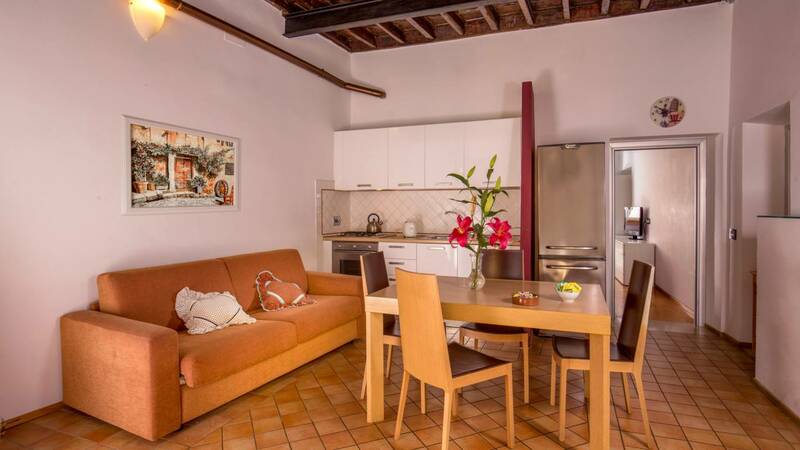 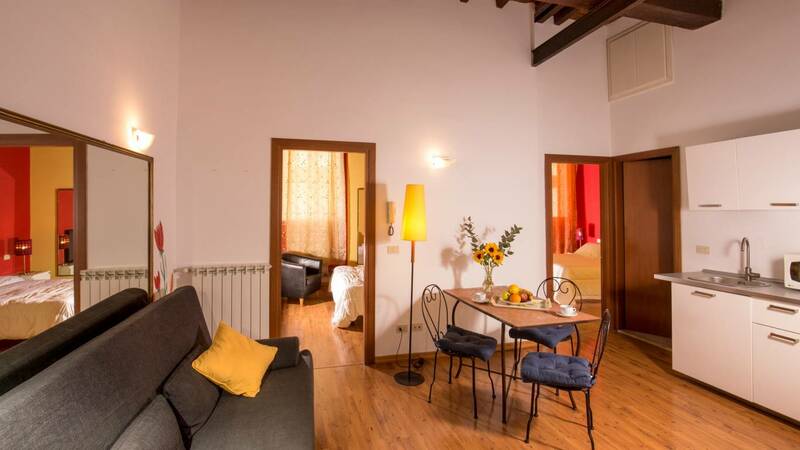 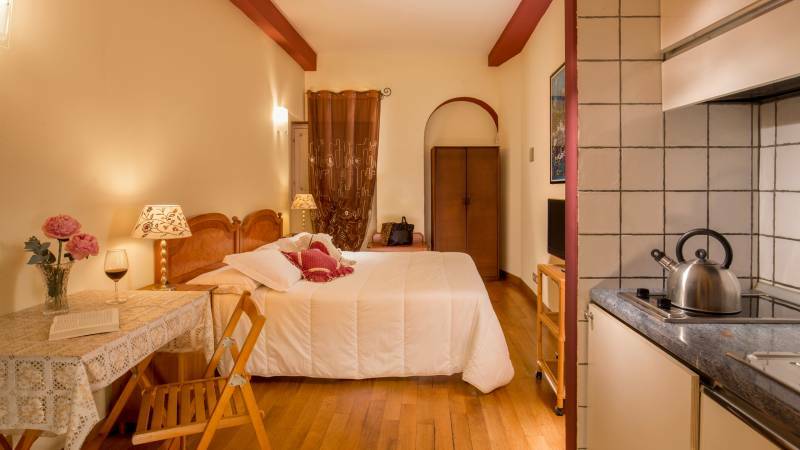 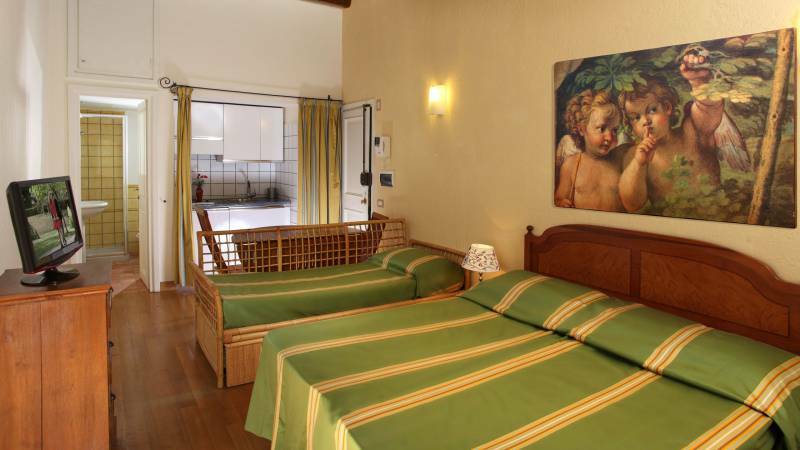 In addition to all the amenities, the Residenza Bollo apartments all have wood floors and wood-beam ceilings in which you can still admire the original beams, which create a warm and welcoming atmosphere. 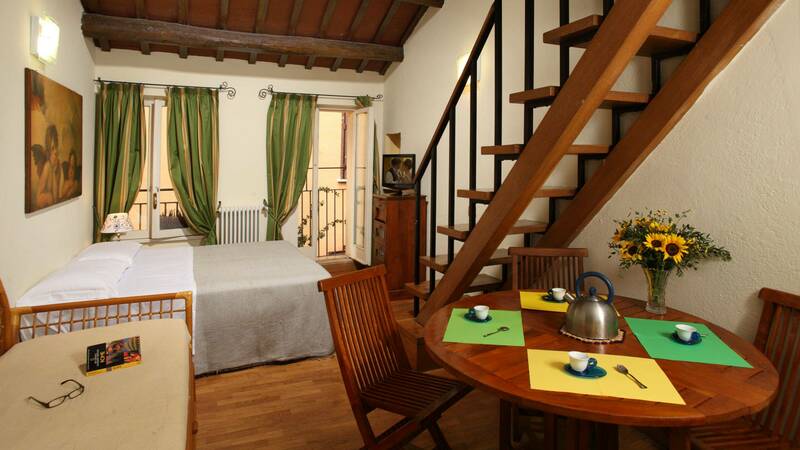 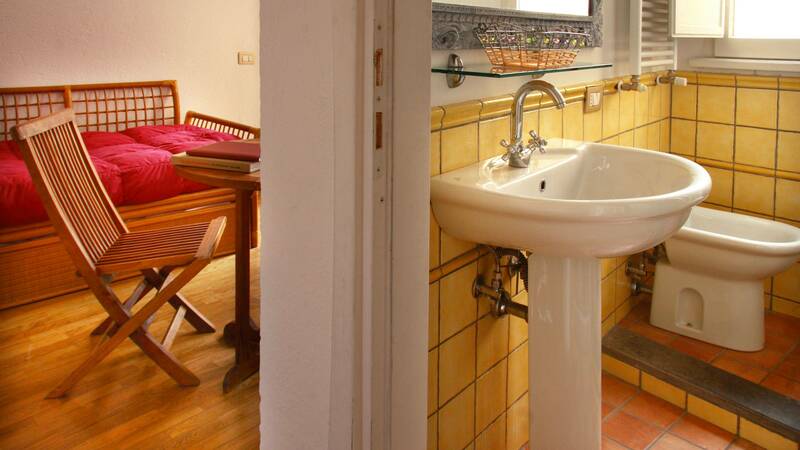 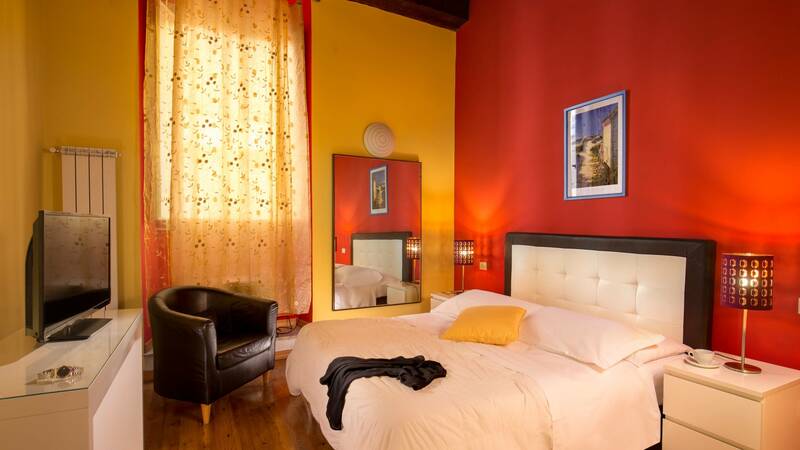 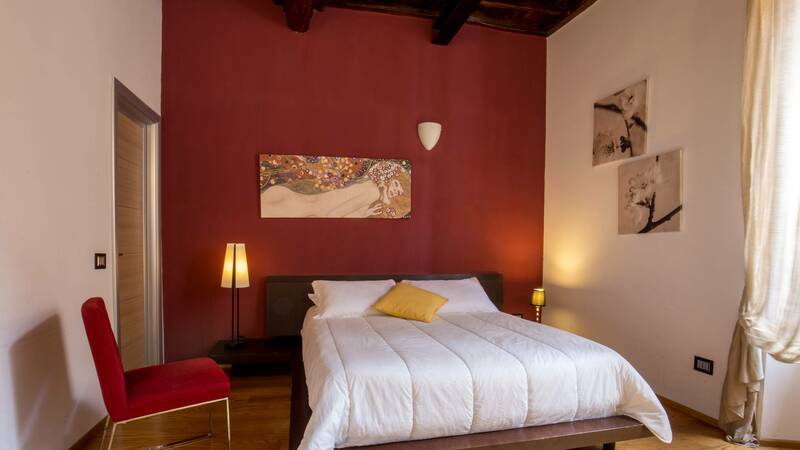 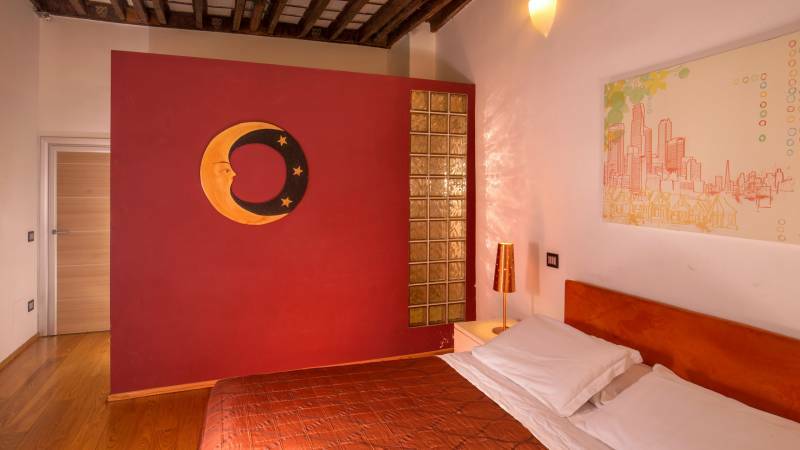 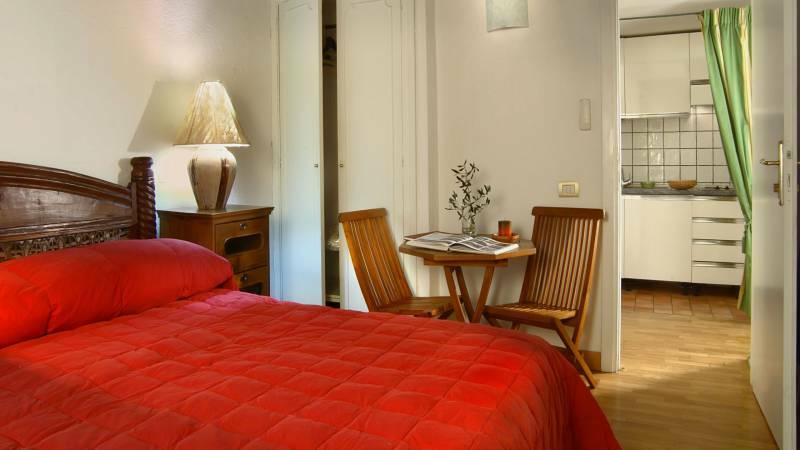 Our vacation home in the heart of Rome’s historical centre is the ideal solution for those desiring a pleasant and relaxing stay in a comfortable setting for a reasonable price. 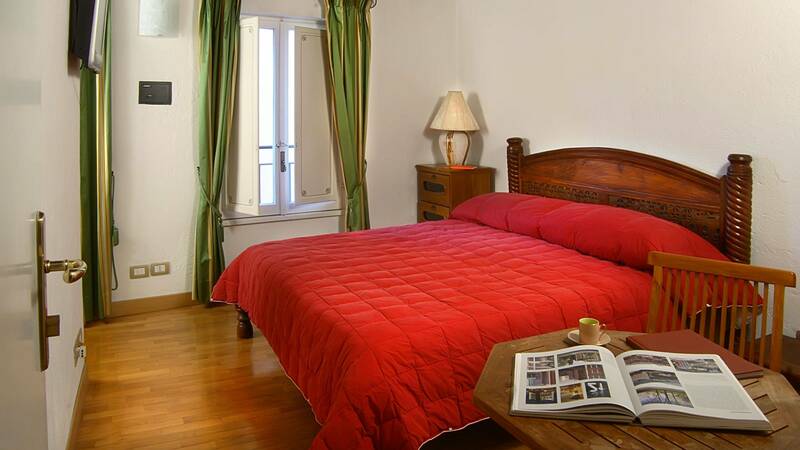 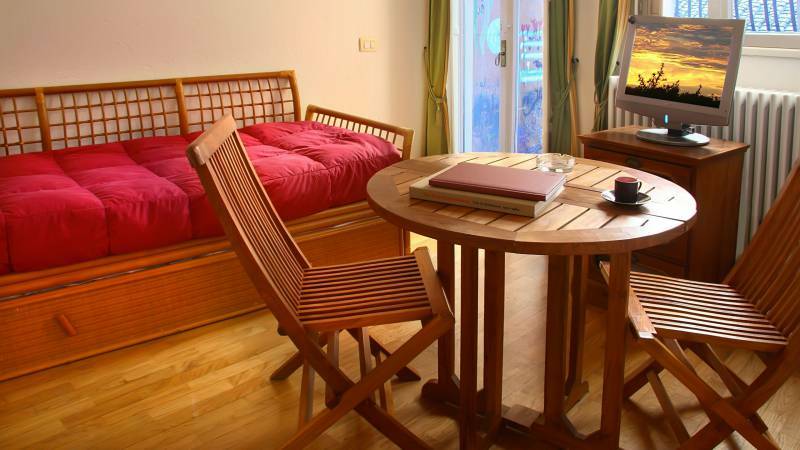 in discreetly furnished, functional apartments equipped with the best amenities for complete guest autonomy.